Any digital marketer will know the struggle of constantly having to draw in new business leads; they’re the lifeblood of any business, regardless of size or industry. 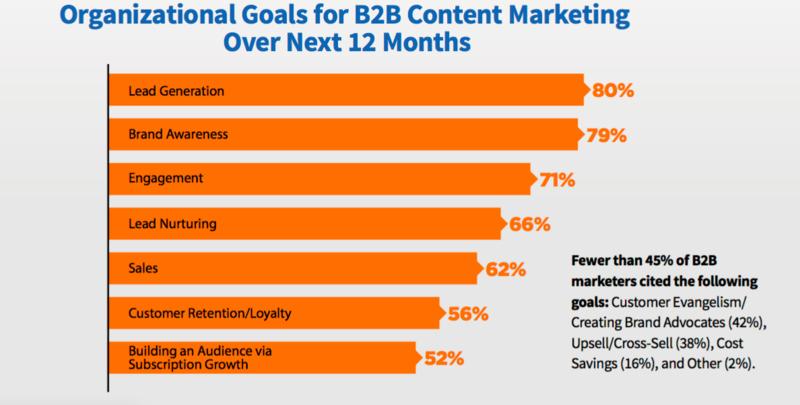 It will come as no surprise then, that lead generation is the number one priority in content marketing for the next twelve months, as is evidenced in the graph below, taken from the Content Marketing Institute’s 2017 Report. However, despite the emphasis on the need to attract new potential customers, research from Econsultancy in 2016 revealed that just 22% of businesses are satisfied with their current conversion rates. Clearly, there is a definite need for tactics to be reassessed, and one critical element that your team should prioritize is creating top-notch contact forms. 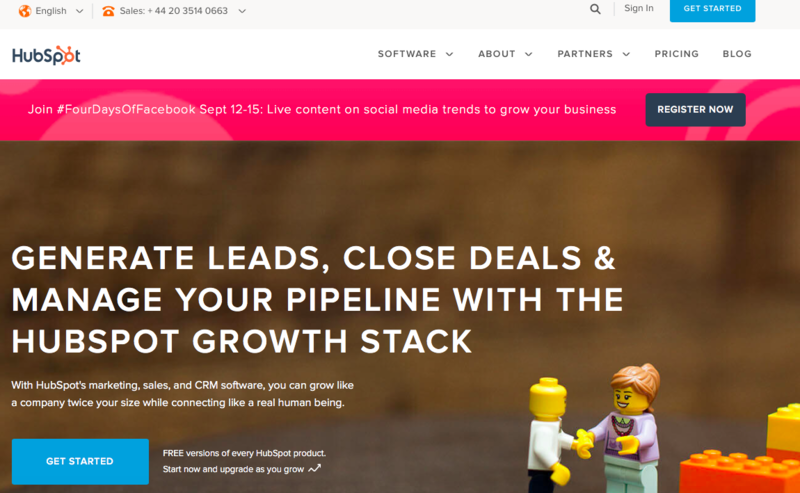 When done right, they can be extremely lucrative in terms of generating new leads and ultimately business for your brand, but unfortunately, many are being abandoned or ignored altogether. 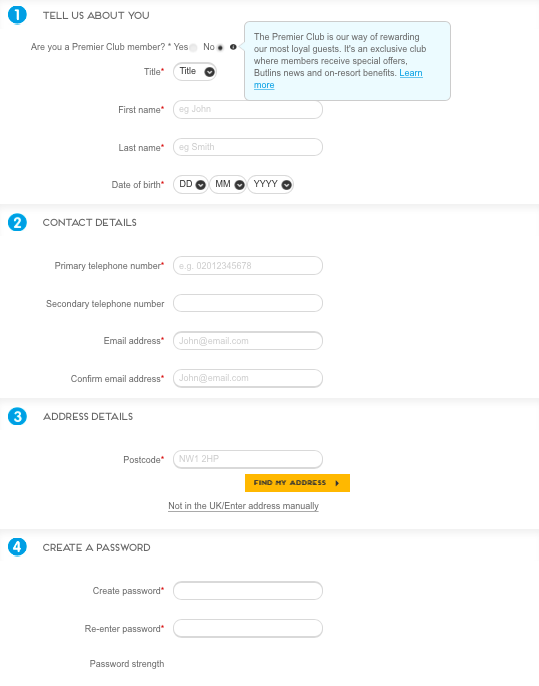 With this in mind, here are some top tips for creating contact forms that are much more likely to drive conversions. 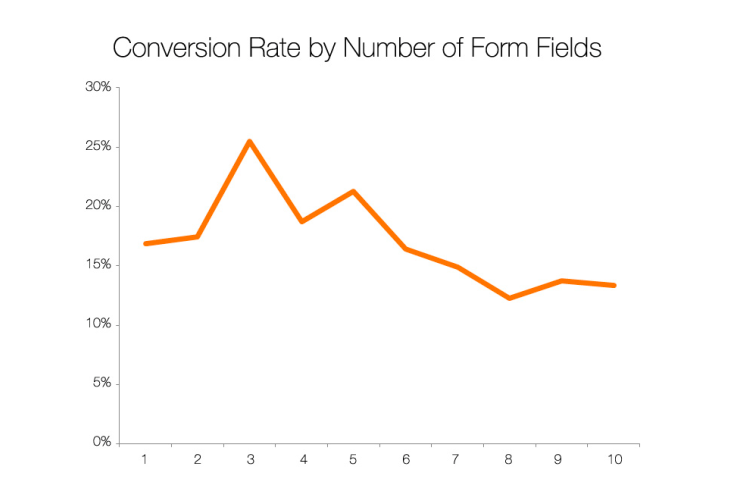 Hitting the ‘Sweet Spot’ – According to a recent study by Unbounce, forms with 3-5 fields have a conversion rate of 20%, while those with 6 or more fields show conversion results of only 15%. This link is further demonstrated in this graph from HubSpot. Don’t be Intrusive – Not only are long forms off-putting due to the hassle of filling them out, but they will also often leave your potential leads wondering why you need so much information about them, and what you are planning to do with this data. Asking leads for their age, location, and phone number will more often than not see a decline in conversion rates; in fact, Unbounce states that you can expect a reduction of 5% by requesting a contact number alone. Keep to the Bare Bones – Website visitors often fail to notice that only some options in a contact form are required, and as a result abandon it. High-converting contact forms omit the optional fields altogether; stick to the details you are really after, i.e. name, email address, comment, and password creation if needed. You can always use a service such as Global Database to enrich this data – with only a full name or business email you will be able to find out more about someone such as their workplace or seniority level. This contact form from Auto Trader is a good example of keeping it short and tidy. 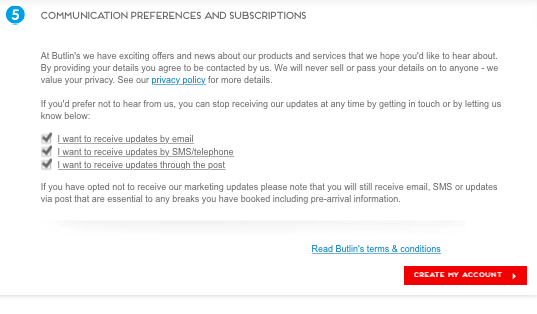 This form taken from the Butlins website however is a little more daunting for new sign-ups. Avoid ‘Submit’ – Perhaps surprisingly, CTA buttons using the word ‘submit’ see a lower conversion rate than those without. Of course, action words are still very important, and one study by HubSpot notes that using ‘Click Here’ or ‘Go’ increases conversions by between 25% and 30%. Colour Choice – It may seem somewhat trivial, but giving careful consideration to the colour of your button is anything but. You should aim to use a color that contrasts the rest of the page, and as a result is immediately eye-catching. The example below from HubSpot demonstrates this nicely. Use First-Person – Using the first-person language for your CTA button can have a big impact on the number of leads your forms produce. Tim Paige of Lead Pages confirmed this theory in an experiment that ultimately saw the button with the first-person language (Create My Account) achieving 24% more conversions than the second-person button (Create Your Account). Personalisation – Where possible, you can test out creating a choice of CTA buttons for your visitors, depending on the experience they require from your brand. The form below from ASOS is a great example of this, allowing users to personalize the content they’ll receive with just one click. Top to Bottom – Generally speaking, the majority of users complete website forms from the top downwards; this was backed up by a study conducted by CX Partners in their office, which noted that the participants found it easier to scan down a column as opposed to left to right. 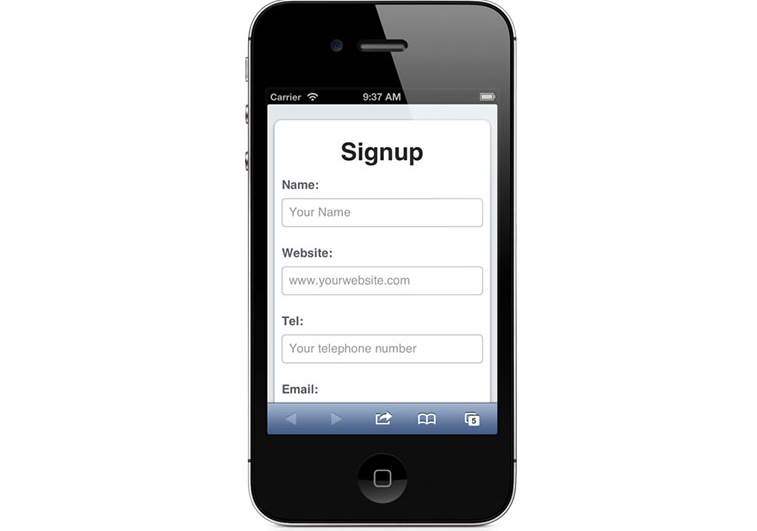 With this in mind, it is better to use a simple vertical layout for contact forms. Field labels – According to an eye-tracking survey that was supported by Google, labels should be placed above the input fields in order to make them as quick and easy to read as possible. The same study also suggests that the size of your input fields should always align with the expected length of the text to be inputted. Placement – In order to make sure that visitors to your site don’t miss your contact form, you should always aim to place it above the fold. Although it can be tempting to stick it right at the bottom of the page, doing so will mean that a large proportion of visitors will never even set eyes on it. 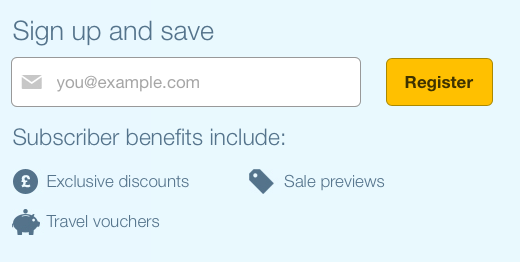 Discounts/Freebies – These could take the form of a number of options, including access to a free report, a free trial or a money-off code. 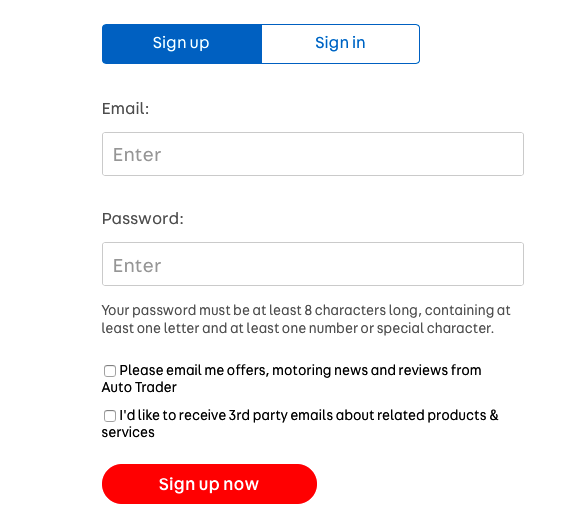 Touch-Friendly – Don’t forget to optimise the form’s design for mobile usage; this could include using a bigger CTA button, range sliders, and checkboxes that are easy to tap. Doing so will avoid your visitors having a frustrating experience that could see them failing to complete the sign-up process. Keep it Neat – Be sure to make your form as simple as possible when it comes to mobile; as this example below from Web Designer Depot shows, it’s best to forgo any detailed designing in order to make it easy to read and complete. Double Opt-Ins – Using a double opt-in system for new sign-ups may seem counter intuitive due to the fact you are likely to lose some leads along the way, but ultimately it will mean less spam and leads that are more likely to have a genuine interest in buying from you. Business Emails – Asking for business email addresses instead of free ones such as Gmail or Yahoo will greatly reduce the number of potential spammers targeting your inbox. Honeypot technology – This involves utilizing CSS to create a hidden field in a form that is only visible to spam bots. Therefore, every time data is inputted in the field you’ll know that it’s not a real sign-up. Although there are a number of ways that you can try to improve your contact form conversion rate, ultimately each business is different and will have different results. The key is to test out different tactics and monitor your analytics in order to ascertain what works best for you. 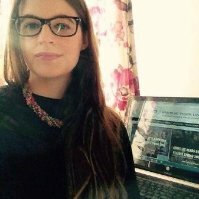 Amy is a Content Marketer at Global Database, where she crafts articles and blogs to help marketers run the most successful campaigns. With six years writing experience under her belt, she has written on a vast array of business topics from lead generation to credit scoring. When she’s not at her desk she enjoys travelling, reading, and exploring her hometown of London. Do short forms convert better?